If you’ve ever wished you could read your animal’s minds, then Temple Grandin is the person who can get you closer to that goal. Before reading her books, I never thought about how being a prey animal affects the personality of livestock. Imagine how nervous you would be if you knew intuitively that you could literally be someone’s lunch. Understanding that one fact has helped me to understand my animals so much more. When I saw Temple Grandin’s newest book, I had to have it, so I asked the publisher for a review copy. 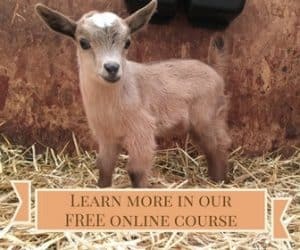 Temple Grandin’s Guide to Working With Farm Animals: Safe, Humane Livestock Handling Practices for the Small Farm gives every livestock owner the information they need to move their animals from place to place intelligently, as well as dozens of little tips to keep yourself safe and your animals less stressed. I especially enjoyed her section on using genetics to improve personality and how to reduce stress on your stock while castrating, tagging, and weaning. She explains the psychological differences between bottle-fed and dam-raised males and why bottle-fed bulls are more likely to kill someone than a dam-raised bull. 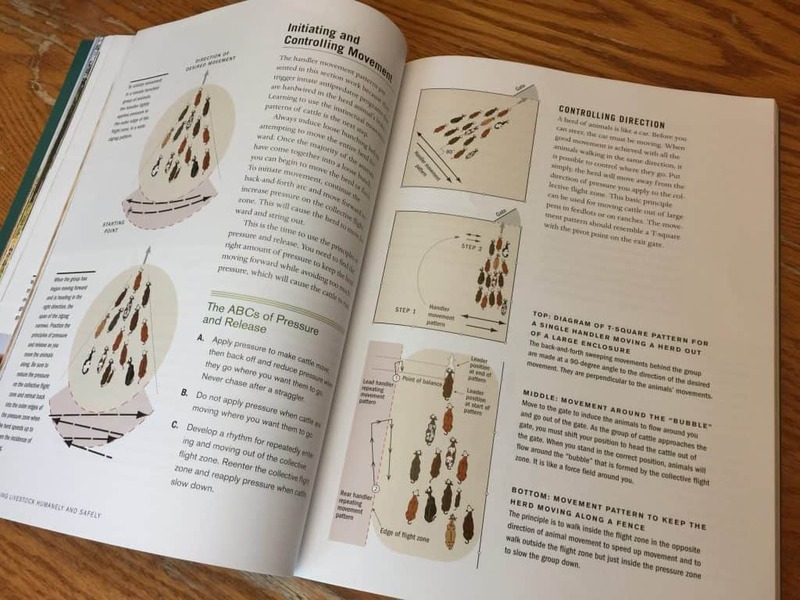 The book is filled with diagrams and drawings explaining how to move animals through chutes and gates, into pens and pastures and slaughter facilities. In fact, Temple has created cattle handling facilities for some of the largest livestock companies in the world, and this book contains designs that you can build yourself. This book is specifically written for the small farmer. There is hardly a page without photographs or drawings. If I were teaching a class on large livestock, this would be required reading. You might be able to fumble your way through with handling sheep and goats, but with pigs and cattle, you really need to work smarter, and this book can help you do that. The publisher has agreed to give a copy to one of our blog readers in the US. See below for a variety of ways you can enter. You get three (yes, 3!) entries if you leave a comment. Be sure to use your real name when leaving a comment so we can match it up with your entry in case you win. We’ll send an email to the winner, and you need to respond within 48 hours with your address, or we’ll choose another winner. Make sure to check back on the website when we announce the winner and check your spam folder so you won’t miss our email! My biggest challenges are getting the goats sorted and organized for milking and getting them to go inside at night when they prefer to stay out and play. I would like to learn more about handling them. 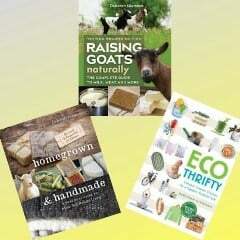 I would love this book because I am just starting out handling livestock and would love some tips. This book sounds like it is full of valuable info. Have raised goats for over 10 years. Just started raising a few dairy steers this year. While I understood cows were totally different from goats, just realized recently when the steer got out of their pasture… they are much to big to handle like goats. They can’t really be led against their will. You have to understand them, and be able to outsmart them. Would really enjoy reading this book and gaining insight from the authors knowledge on the subject of handling various livestock. I am interested in getting ruminants…sheep specifically and think this would be a great book to learn ways to interact with them. Thank you Deborah! What an awesome resource this would be.